Production: Ruhrtriennale and Teatro Real. Opera lovers know the special affinity of Gerard Mortier for Olivier Messiaen’s St. François d’Assise. After its premiere in Paris in 1983, the Belgian director has not missed an opportunity to program Messiaen’s only, gigantic mystery-opera in all the opera houses he has led. Teatro Real would not be an exception, but it surprises that he has been in such a rush to offer this opera in Madrid. It is strange because Gerard Mortier has come to Madrid on a contract of at least 5 years. You’d think the obvious way to program this opera included much planning time and waiting for the most appropriate conditions. Instead one gets the impression that the scuttle has become the main protagonist of these performances. First it was to be performed at Madrid’s Caja Mágica. Then it was transferred to the multisport ‘Madrid Arena’. Neither are well suited for an opera performance. The official version is that the works’ demands exceed what Teatro Real can handle, but that’s at the very least surprising, since Teatro Real is a modern theater and this opera has been performed in other theaters of similar characteristics to it… just a week ago at the Munich Nationaltheater, for example. I do not believe that this opera – or rather oratorio, given its intimate atmosphere – despite the big orchestral and choral forces its requires, is well suited for a sports center. Mr. Mortier must know the reasons of his rush, but it seems it has come at significant cost for Teatro Real in a particularly difficult time, without allowing the enthusiasm of the ticket holders to be kindled, who saw this opera under these conditions, squeezed in among their subscriptions tickets. (In Munich, the three sold-out performances were part of the Festival, without relying on subscription holders to innocently fill the seats.) Not surprisingly, many in the audience at the ‘Madrid Arena’ decided ostensibly not to stay until the end of the performance. 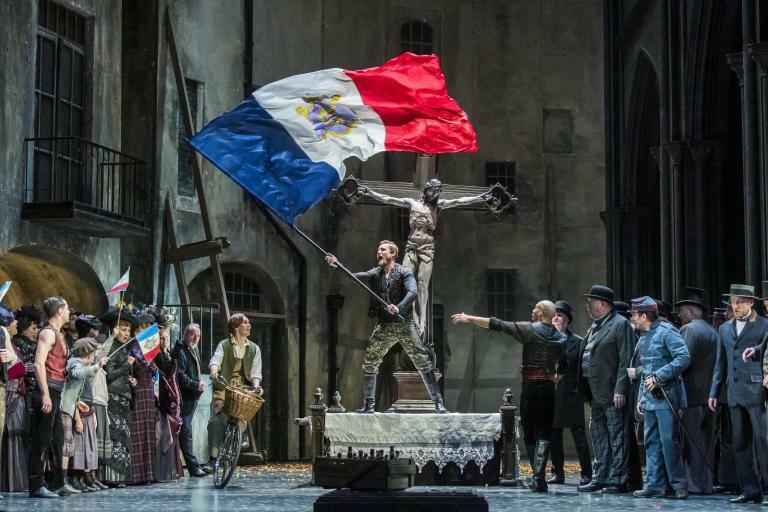 I had the opportunity to see this opera in Paris – then under Mr. Mortier direction – seven years ago and I am compelled to repeat now my thoughts on this work. Firstly: Messiaen, compared to his contemporaries, strikes me as a pure bel canto composer and as that far superior to his colleagues. 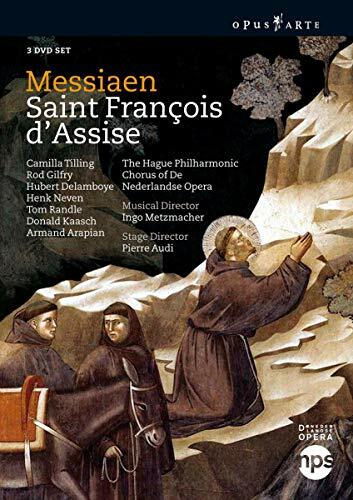 St. François d’Assise is a work that responds better to the concept of oratorio, consisting of eight scenes of the saint’s life. Orchestral and choral demands are enormous. Apart from a very large orchestra (over 120 musicians), with percussion that surpasses any operatic score, the chorus of some 150 voices is very demanding. The work lasts for over 4 hours of music (net! ), but I can’t help to experience uneven patches between several excellent scenes. (Among the latter especially: The Cross, The Leper, The Angel, and The Stigma.) 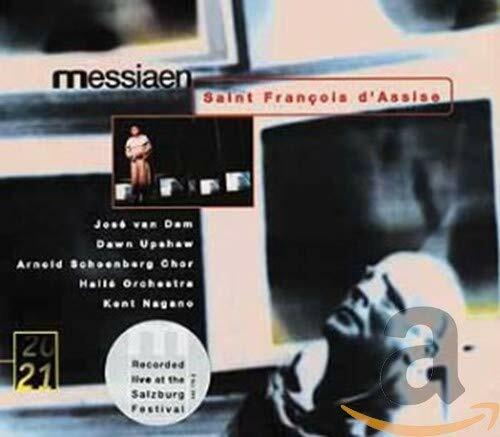 Elsewhere Messiaen simply becomes too long and tedious, as if he were unable to just get the scene over with. This is especially true at the scene of the Birds in the second act that lasts almost 50 minutes and it has no other justification than Messiaen’s special affinity with the world of ornithology. Something similar also happens with the scene of the death of Saint François, although in this case the music is more interesting, as it is in fact during the whole third act of the opera. There are (very few) operas where length is explicitly part of the experience, but Saint François, I dare say, would benefit from a liberal hour’s worth of a cut. The performance at the Madrid Arena ended up rather in semi staged fashion. To create some atmosphere a large dome has been built, open to the auditorium and sheltering orchestra and chorus beneath. A narrow bridge surrounds the orchestral forces where the singers, dressed in Franciscan habits, move about. The way the dome is lit is more effective than spectacular and the stage direction by Giuseppe Frigeni is well suited to the limited movement possibilities offered by both the work and the ‘stage’. As in Paris, the Messiaen-specialist Sylvain Cambreling (along with Kent Nagano the only real Saint François d’Assise-veteran) conducted. In Paris Sylvain Cambreling was—within the limits of the work and my perception of it—fully convincing and the same happened again this time. For me he was undoubtedly the highlight of the performance, showing a deep knowledge of the score as well as his great affinity for it. 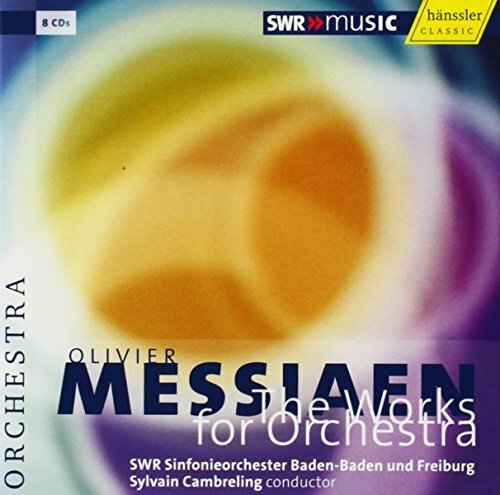 Under his baton there was the excellent SWR Baden-Baden – Freiburg Symphony Orchestra. The large Choir, too, turned in an exemplary performance. Swiss baritone Alexander Marco-Buhrmester was a good interpreter of the “Poverello”, but we missed some more vocal power in more than one occasion. The environment was not very friendly for the projection of the voices. Swedish soprano Camilla Tilling was an ideal interpreter of the Angel (one of the few grateful roles), by far the best of the whole cast. Her voice and her singing were literally angelical. Angels should sound like her. The rest of the cast was rather modest, beginning by Michael König as the Leper, the other potentially thankful role. Wiard Witholt had not much to offer as Frère León, ditto Victor von Halem as Frère Bernard. Tenor Tom Randle was a fine Frère Masée but Gerhard Siegel had trouble making himself being heard in the part of Frère Elie.. The unsuited Madrid Arena started out at perhaps three quarters available capacity. (Compare this to Munich, where scores of ticket seekers and press had to be turned away). After Act I it had cleared out to about two thirds of capacity, with the outward trickle continuing all through the second act. Early in the third act about half the auditorium still had bums on the seats, and when it was all over, after five hours and 52 minutes, not even that many. But those who stayed were the hardened, appreciative core and they gave a five minute-long, very warm reception, especially to conductor, orchestra, and Camilla Tilling.